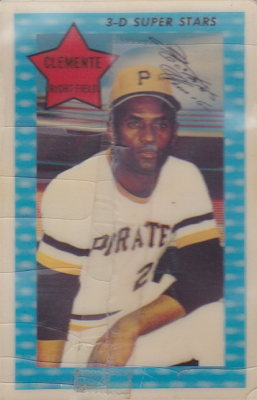 Clemente was one of those rare pre-steroid players whose batting average rose during his "decline years." this card shows a lifetime batting average of .316. 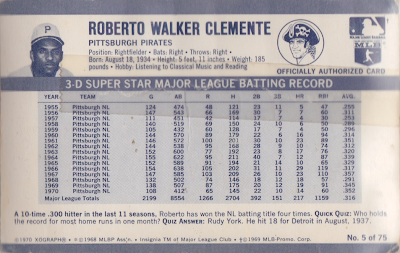 Roberto ended up with a lifetime average of .317 after playing two more seasons. It probably would have dropped a point or two if it weren't for the plane crash, but it's still pretty cool.